Teaching and Power Points used in the teaching to the right. 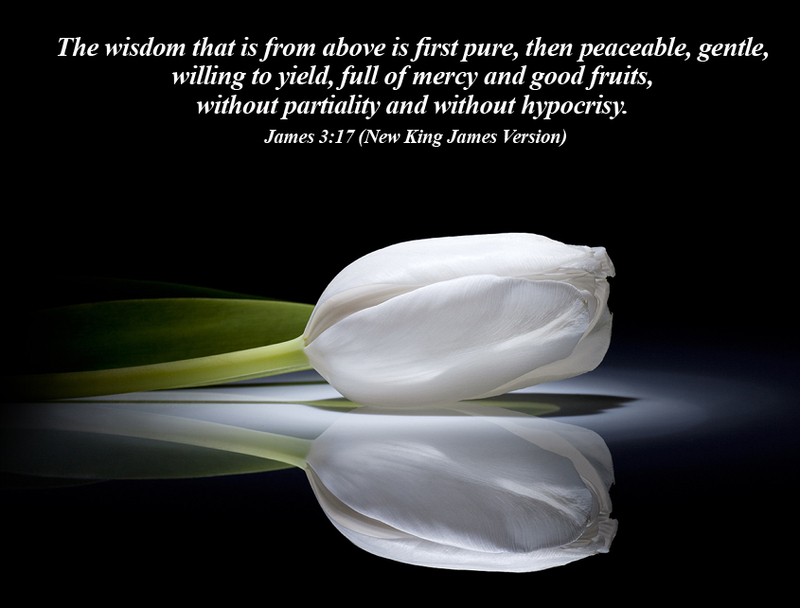 But the wisdom from above is first of all pure (undefiled); then it is peace-loving, courteous (considerate, gentle). [It is willing to] yield to reason, full of compassion and good fruits; it is wholehearted and straightforward, impartial and unfeigned (free from doubts, wavering, and insincerity). What of the wisdom from above? First, it is pure, and then peaceful, gentle, obedient, filled with mercy and good actions, fair, and genuine. But the wisdom that comes from above leads us to be pure, friendly, gentle, sensible, kind, helpful, genuine, and sincere. Real wisdom, God's wisdom, begins with a holy life and is characterized by getting along with others. It is gentle and reasonable, overflowing with mercy and blessings, not hot one day and cold the next, not two-faced. 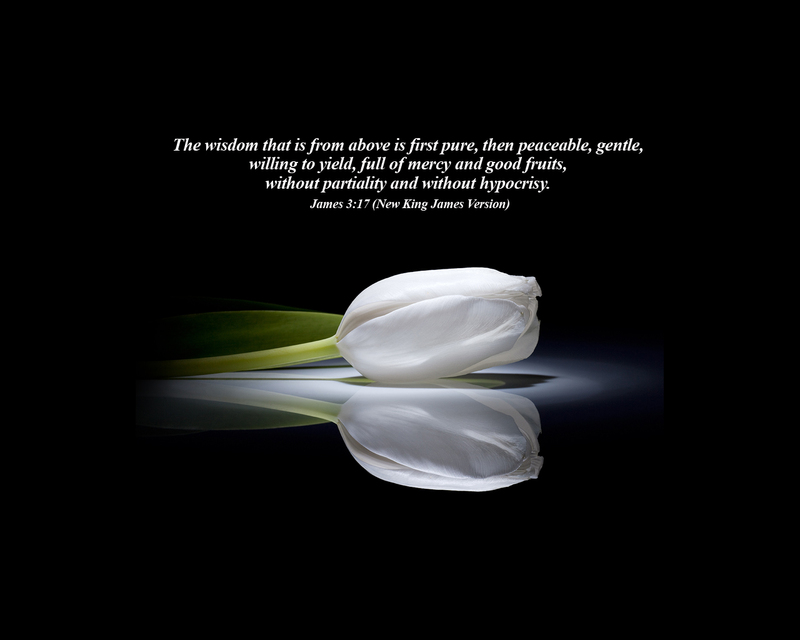 However, the wisdom that comes from above is first of all pure. Then it is peaceful, gentle, obedient, filled with mercy and good deeds, impartial, and sincere.